Thallo Capital was formed in 2011 as a privately owned, independent investment boutique, providing wealth management services in Switzerland. We provide comprehensive wealth management, private equity and property management services aimed at protecting and increasing the wealth of our clients. We offer a service that is personalised to your needs, committed to the protection and growth of your net worth and along with our strategic partners, to the development of investment strategies that will help you achieve your financial goals. 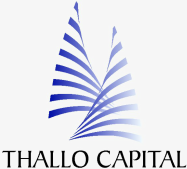 Thallo Capital is a multi-Family Office manager providing independent fiduciary governance and investment advice for families and high net worth individuals. As an independent Family Office advisor, we do not manufacture in-house products but collaborate with strategic partners who specialize and excel in their chosen area. We recognise the unique and personal requirements of each client, therefore our investment strategies and governance services are tailored to help achieve individual financial goals. Website created by Bigwig Designs. Copyright 2013. All rights reserved.